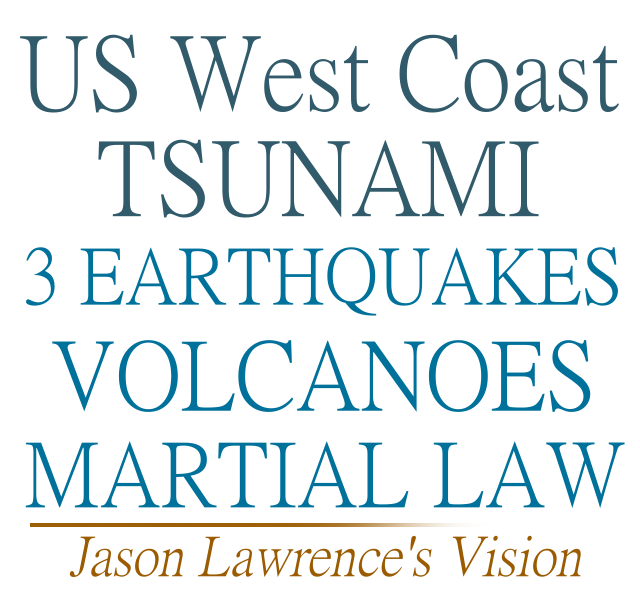 Jason Lawrence had three OPEN visions about volcanoes going off along side 3 major earthquakes along side a tsunami that hit the west coast. I want to share with you what happen to me in church today when the alter call was announced. I went up and got on my knees and began to pray. I was praying for members of my church and family and for my kids my mind was asking God to help different people with different situations. But the lord show me something completely different. It came in 3 visions. I saw an nuclear bomb go off in a coastal city but I don’t know were. I saw a chain of events flash before me like an old movie projector. The vision of events was a series of volcanoes going off causing great damage and then I saw 3 major earthquakes go off along the west coast and northwest coast and then I saw great tsunamis destroy major cities. I saw cities on fire from civil unrest and then I saw martial law, and then the most disturbing thing was I saw pastors drag out in the streets like the dictators of the Arab spring where they would drag out in the streets like the dictators of the Arab spring were drag out the men ad blood on there face and people were screaming “kill them”. And there was a split in the church. There was an government control church that had totally false doctrine then there was one in the small homes of America but meet in secret. Some one had to be on guard all the time. Then I saw people lined up for miles for food. I just herd screams upon screams and then I saw cities, large cities. They were in rubble and like ghost towns and it was dead winter. I don’t know if it was nuclear winter. When I saw people it was scarce they all had gas masks on and I look up at the grey sky and I heard the Lord say this is the judgment like Sodom and Gomorrah and my plagues on Egypt and so it will be for America says the Lord. Now this was not a dream, but an open vision when you were awake? I just got this email today, which I posted as well. Would you mind if I posted yours on my site? Would you mind if I used your full name? So the pastors were dragged out into the streets, because why? Could you speculate on that? Did you see any more additional detail to the Christians on guard when they had their meetings? Thank you for sending us this. This is quite a detailed dream…. Notes: Massive, Massive heavy rains in the area, She mentions the state of Oregon (Mt HOOD), and Mt Rainer in Washington State. Did she see two eruptions? As you can see, this picture represents what Shawna from Z3 news saw. watertakken “On the night of Nepal Earthquake, I had a coincidental dream. In the dream I saw a news report that said “Yellowstone Bombed, Massive Volcanic Activity Reported.” I could see lava flowing out. After all that i woke up. 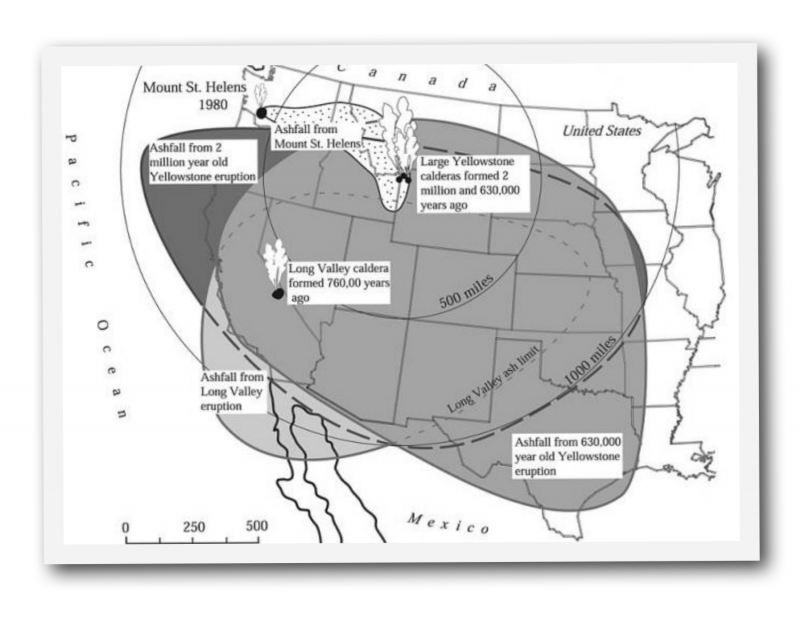 I believed in the dream, a nuclear bomb went off in Yellowstone, then all the lava came out. I know it sounds insanely crazy, but its Very Scary”. Steven Harris “had dream about yellowstone some days ago. yeah and it was boulders flying everywhere”. We have already analyzed the recent seismographs that were taken at the site of Mount Hood. We now recognize the significance of the aberrant signals that have been identified as a scalar interferometry weapon.